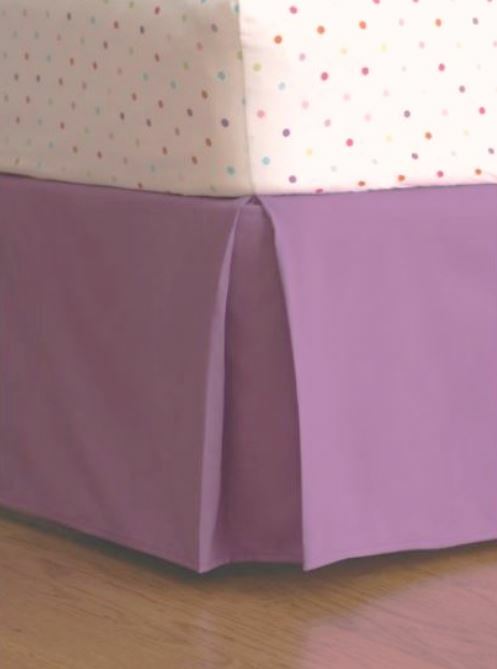 The solid lavender purple bedskirt adds the finishing touch in a super-soft poly microfiber. Box pleat (flat) styling. 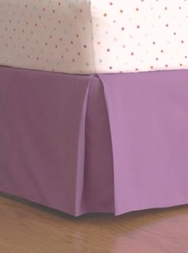 Lays over boxspring, and corners are split to accommodate bed posts & frames.